From super luxury SUVs to Italian two-seater sports cars, 2016 promises to be yet another bumper year for new car launches. So we've picked out 20 of the best cars that will be arriving over the next 12 months. Top 10 diesel cars to buy in 2016 | Petrol or diesel in 2016, which offers the best value? Fiat is bringing back a classic name in 2016 - the Tipo. And also the 124 Spider. 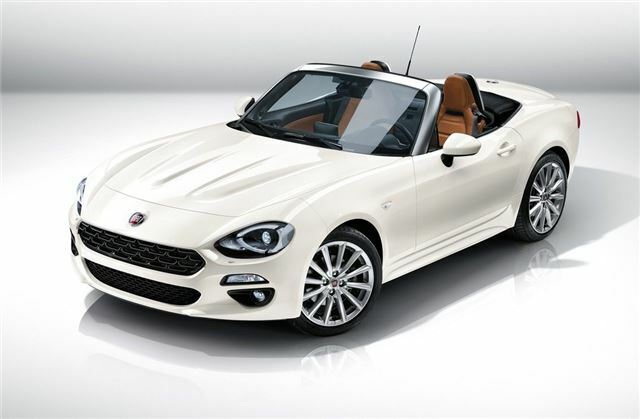 If it looks a little familiar that's because the new Fiat sports car is based on the latest Mazda MX-5. But unlike the MX-5, the 124 Spider comes with a turbocharged engine in the form of Fiat's 1.4 MultiAir Turbo producing 140PS and 240Nm of torque. From the pictures we've seen, it's a good looking design and different enough from the MX-5 that this won't just merely be a rebadged model. It will go on sale in in the second half of 2016 with prices expected to start at around £20,000.